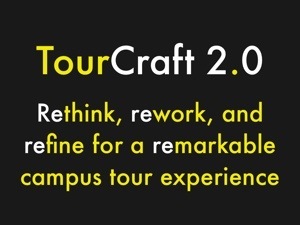 I am presenting a session called TourCraft 2.0 today at the CiVSA conference. It’s a discussion of how to make campus tours more remarkable, more worth talking about. Here’s the link to download the PDF of my slides.